This is a carrot cake recipe, meant to be given to the Carrot Cake Man. An elusive mystical figure who travels around Philadelphia, making lucky patrons happy with his wondrous Carrot cake. 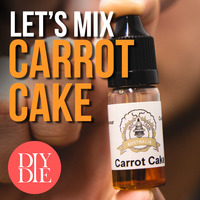 Made on: "Let's Mix: Carrot Cake"